Culture. It’s that mysterious thing that we all want to build within our organisations, yet is so hard to define. Basically, workplace culture is the personality of your organisation – the sum total of all the values, beliefs, attitudes, behaviours, and relationships that make up your company. Usually these are driven by a combination of guidelines (both documented and unspoken) around everything that happens within the organisation, and it has an enormous impact on employees, teams, leaders, and the business itself. Deloitte research highlights that 88% of employees and 94% of executives believe “a distinct workplace culture is important to success” and they’re not wrong. For employees, workplace culture often affects how much you enjoy your work and the way that you work. For teams, it affects the way individuals interact with each other and build relationships. For leaders, it both gives guidance for how to lead while also offering an opportunity for you to stand out by driving positive workplace culture. And for businesses, the impact is endless – from improved productivity to better talent attraction and retention, reputation management to clearer decision making. However, positive workplace culture isn’t always easy to foster. Creating an environment where people love coming to work each day needs to be a focus of every department and every leader. Your workplace training should be no different. So how can you ensure that your training has a positive impact on culture? Workplace training is an opportunity to help grow as an individual, in a specific role, and for the good of the organisation. Unfortunately, it can often feel like an extra task in an often busy day. So how do you get past those misconceptions of training as another task on the to-do list? It’s all about how you frame it before training starts. Being selected for training is a fantastic way for staff members to feel valued in and of themselves, so long as you can get that message across. By sharing that you see real potential in them and believe training will help them harness that potential, you’re demonstrating that you, as an organisation, are investing in their future. Before you ever get to giving them a time and place for training, be sure to communicate with them why they’re getting the opportunity, what it could help lead to, and how you want someone to be operating at their full potential for both themselves and for the business. Doing that will ensure that learners come to training with a positive attitude – and are likely to take that positive attitude back to the workplace as well. Once training actually starts, improving culture is all about creating a welcoming workplace training environment. Beyond simply having friendly facilitators and having it in a space where learners feel comfortable, creating a welcoming environment is all about building trust and ensuring that learners feel able to speak openly and freely. One of the most common things people say about coming together in Upskills training sessions is that they’re able to understand that other people within the organisation are facing similar challenges and issues. It can put things in perspective that they’re not alone, while building great solidarity and driving incidental learning from what different people might have learnt from different situations. 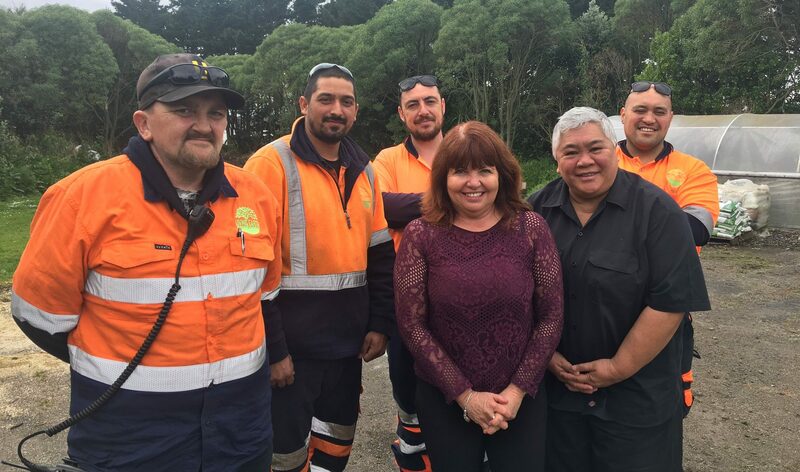 To create this environment, and build lasting relationships which carry on long past the end of a training course, there has to be some space for whakawhanaungatanga, or finding common connections and building relationships. That’s why we recommend spending some time at the beginning of any course on icebreaker and team building activities. It may feel counterintuitive, especially when you’ve got plenty of technical content to get through, but spending that time upfront to welcome everyone and build relationships will pay off later. You’ll create an established team instead of a group of individuals who might otherwise not be quite so focused, open, willing to learn or connected. Create an open, welcoming environment, build relationships, and you’ll soon create a sense of shared purpose as well – something that can only impact positively on workplace culture. For adult learners, relevance is a key driver of effective training. Consider how you can acknowledge prior experiences and cater training to each individual. Have learners set their own goals, and ensure these are always checked against the “relevance factor” – will these apply to their own role, as well as contributing towards overarching business goals? A Forbes article about workplace culture promotes establishing a clear ethos and values for the organisation, and highlights why it’s so important to take demonstrable actions regularly “so that the employees feel an individual and personal responsibility towards these values”. Ensuring the goals each individual sets during training sit within an overarching strategy, ethos, and values helps create real relevance and demonstrates to your people why they’re an important part of delivering on that strategy. One of the best ways to ensure your workplace training is contributing towards a positive workplace culture is by making sure your training is always embedded in the concrete reality of what working in your organisation is actually like. Try to have applied learning or give context to bring that learning into concrete reality. So how can you do this? Beyond giving relevant examples of situations your team will actually be in, consider a mini-project in which learners can make recommendations which can be implemented in the workplace. For example, you could ask learners to look for ways in which health and safety requirements can be better communicated, or how to drive improvements in efficiency. Through a project like this, they’ll recognise that your organisation is willing to change and try something out, and that you’re curious about innovative solutions. If given the chance to change something within the organisation, even something small, they’ll feel heard and know that they can have an impact. Of course, workplace training is fantastic for the individual learners involved. But why should the impact end there? Build a positive workplace culture by inviting and supporting employees to bring their learnings back to the team and driving continued communication of new ideas. It could be as simple as asking them to share what they’ve learned each week in a meeting, inviting them to educate everyone else via an Intranet portal or instant messaging group, or creating a project team that comes off training and picks up the momentum – meeting regularly for a time thereafter to bring those learnings back into the organisation. Consider how you can foster continued communication and ideas, spurred on by training. Are you creating a culture where communication and ideas are welcomed? Are you giving new ideas visibility? Creating some sort of concrete structure or action that speaks to the value you place on people’s learnings and new ideas is vital to ensuring that learnings get disseminated throughout the organisation and learners continue to share new ideas. By providing structure and routine around giving opportunities for learners to share their ideas, it becomes part of your business as usual. When it’s part of your BAU, it becomes part of your culture. Make openness to new ideas and innovations part of your culture. Culture might be intangible, but it’s one of the most important aspects of any workplace. With engaged and motivated employees one of the top factors contributing to a company’s success, and clear correlations between culture and engagement, it’s clearly something to embed into every part of your organisation. Ensure that your workplace training is contributing to a positive workplace culture by framing training as an opportunity, creating a welcoming environment, bringing relevance to goal setting, aligning learning with reality, and fostering communication, and your people (and your bottom line!) will be thanking you.